On the eve of Valentine’s Day, I’m remembering my stints working for Lehrer’s, a Denver florist, and for Country Fair Gardens. In both establishments, Valentine’s Day was a big holiday. Flowers make beautiful gifts. This Valentine’s Day, if you’re giving flowers to somebody you love, you might enjoy these four heartfelt posts on my Examiner.com page, where I serve as Denver Flower & Gardening Examiner. Happy Valentine’s Day to you and all those you love. As a former communications officer for the Archdiocese of Denver, one of my duties included directing the production of an annual Catholic liturgical calendar. The calendar hinges on full moons, Spring Equinox, symbolic colors, and also plants—particularly palms. Today, a collision of past occupations and current preoccupations occurs. My fresh post on my Examiner.com page, where I serve as Denver Flower and Garden Examiner, draws a circle encompassing a number of topics. Why are palms so important in all of this? The liturgical calendar serves as the framework for my first novel, “Glass Halo,” a Finalist for the Sante Fe Literary Prize. 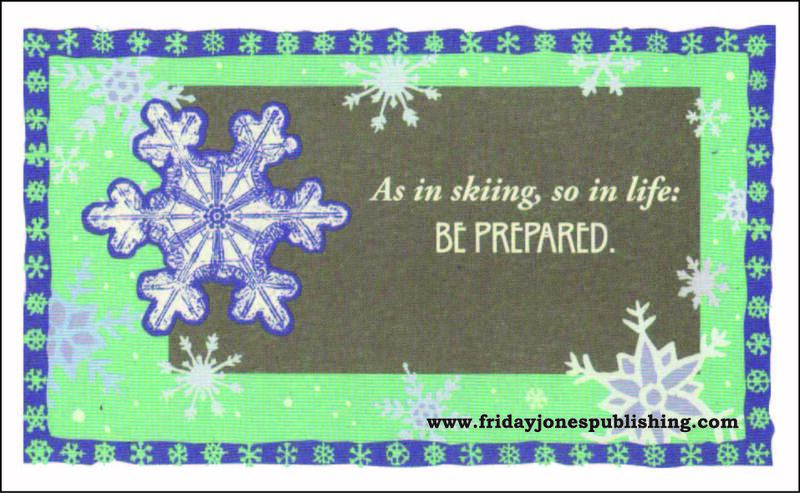 Glass Halo by Friday Jones Publishing can be found at these local retailers or on Amazon. LAID-BACK SKIER: What’s in your ski jacket pocket? Does any sport require as much gear as alpine skiing? I doubt it. or laid-back your skiing style. keep a day on the mountain from going downhill tend to slip our mind. below, but without your pass or lift ticket, you’re not skiing resort runs. protects your noggin. Plus, ski helmets are warm, if not cool. moisturizer, and a flirty tint of color. Mwah! use drops at lunch or when you take a break. that stunning light on the fresh powder and the first tracks you just carved. risk of making risky runs sans avalanche beacons and a small, fold-up shovel. comes along with the ride, but there’s little more disgusting than snotsicles. nose on my ski mittens or neck gaiter. though, or you might ruin the lenses. back $10, so if you’re bringing cash, bring plenty. the gondola. Ever since, I keep an anti-migraine tablet or two in a pocket. if you need on-mountain relief for achy muscles or other maladies. pathogens enter the body via the small of the back or the back of the neck. • Hand-warmers, toe-warmers: Some dismiss these as for sissies only. skis if wearing only silk liners. Your skis’ edges can slice the silk. the code; follow it. Ski safely; ski the whole season. Colleen Smith—the author of “Laid-Back Skier: As In Skiing, So In Life”—skis Colorado and writes from Denver. Interested in purchasing Laid-Back Skier? Check out our previous blog post about local businesses who carry the book. Not in Colorado? No big deal! Laid-Back Skier can be found on Amazon.